An Sabhal Cottages were originally the 'minister's steadings', comprising stables, threshing barn etc, and have been developed to offer every modern comfort in the exceptional rural and wildlife environment of south west Islay. They are situated midway between the twin picturesque fishing villages of Portnahaven and Port Wemyss. 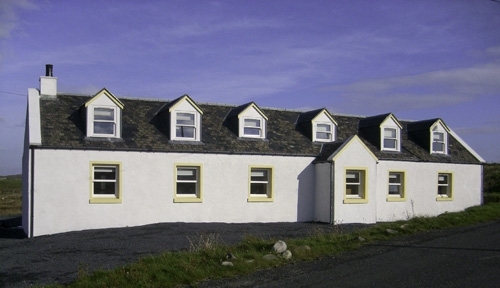 Both cottages are contained within one building with separate access. The bedrooms, sleeping up to six persons per cottage, are on the ground floor, while there is a large lounge on the upper floor. The fully fitted kitchens, bathrooms, wc and shower rooms are to the rear of the building. 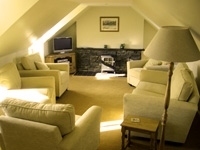 The upstairs lounges are comfortably furnished and have flat screen televisions, DVD and video recorders. There is central heating throughout. 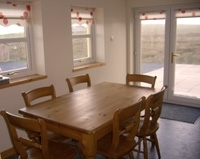 The upstairs lounges offer excellent views over farmland to the rear and exceptional views ti the Rhinns lighthouse and Donegal coast in Irekand from the front. Portnahaven village has a small beach at the end of the harbour which is ideal for children to play, and there are plenty of seals frequenting the rocks around the bay. Portnahaven has a Post Office, oub and a convenience store. For those who enjoy the outdoor life, there are many excellent walks to be had both in the surrounding area and on land owned by the proprietors, from which it is possible to view Islay's wildlife and birdlife, including such rarities as the chough.